A working sewer system is a cornerstone of any business. Entrepreneurs and building owners will have to act quickly when they discover a problem with the sewer or drainage network. Ledbetter Plumbing provides quality commercial drain services in Longview, TX. 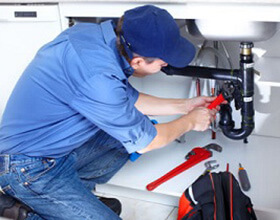 You’ll find the fast action you need and a reliable plumbing team with our friendly associates. 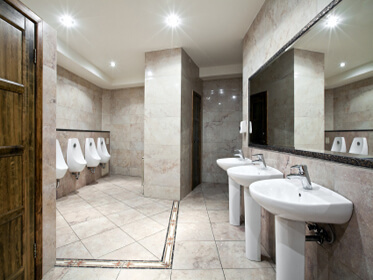 Learn all about our Commercial Drain Services below to find out how we can assist. For positive results, call us today to schedule an appointment. Come Clean My Commercial Drains! Does your business have a clogged drain? The trustworthy Ledbetter Plumbing team can perform a Sewer Line Cleaning to clear the blocked pipe and bring your building up to city standards. With a Sewer Line Cleaning, we’ll use an augur (commonly called a drain snake) through the clogged pipe. We have plenty of practice with this procedure, and in most cases, this is a simple and fast service. Soon, the pipe will be ready for use and our team can answer any of your questions. A serious drain blockage may warrant the need for a Video Drain Inspection. 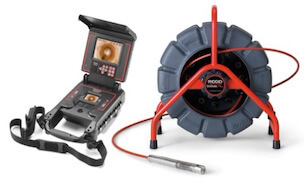 Your Ledbetter Plumbing team member will run a live video line through the sewer line to find the clogging trouble. It’s a very helpful service that will save you and our team money rather than using costly exploratory procedures to attempt to find the block. With a Video Drain Inspection, we’ll find the problem and then get right to fixing it! This efficient service is only recommended if we can’t find what’s wrong in our first inspection. When a pipe is blocked too severely for a simple Commercial Sewer Line Cleaning to handle, the Ledbetter Plumbing team can use Hydro Jetting! It’s exactly what it sounds like. During a Hydro Jetting service, we blast high-pressure water (up to 4,000 psi to be exact) to clear a blocked pipe. This is particularly useful in cases where tree roots have overgrown a business’s commercial sewer line. We’ve also used Hydro Jetting when years of grime have built up to form especially stubborn clogs. We’ll make sure that the pipes of your business can withstand the pressure, and then proceed to tear away the clog. 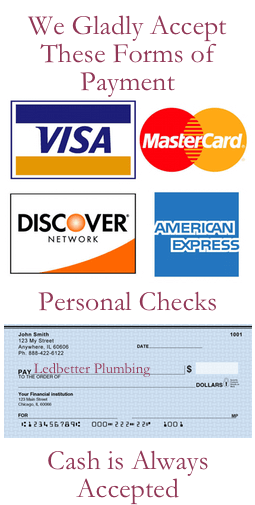 When a plumbing problem occurs, call Ledbetter Plumbing right away! 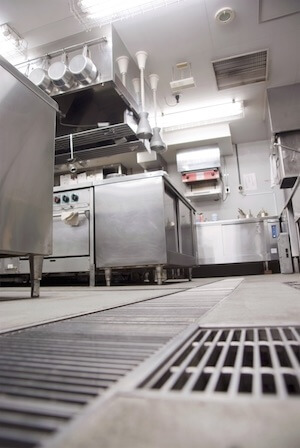 We’ll work diligently to help your commercial drain system up to code. The friendly members of our team are ready to help!